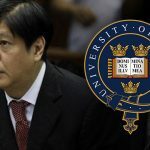 MANILA, Philippines – When Ferdinand “Bongbong” Marcos Jr said he earned a “diploma in political science” from Oxford University, brushing off a Rappler report that he did not complete a Bachelor of Arts in Philosophy, Politics and Economics (PPE), he failed to get two things right. First, he misremembered the name of the diploma he acquired. It was a “special diploma in social studies,” not political science. This e-mail was addressed to Matthew Montagu-Pollock, a graduate of Oxford University, who, after reading the Rappler report, made his own inquiries. Montagu-Pollock shared Woodcock’s email with us. Both Woodcock and Wilkins are clear on the crux of the issue: Marcos Jr did not obtain a BA. He did not complete a degree. We emailed the Oxford University spokesperson to ask what the criteria are for special diplomas. We have yet to receive a reply. “It was possibly a back-door method…a political accommodation,” the student added. 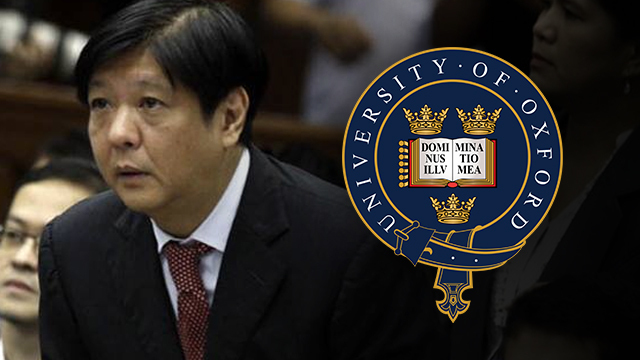 Second, Marcos Jr equates a diploma with a degree, an apparent attempt to fudge the facts. “I got a diploma!” he told reporters. “What do you get when you graduate? A diploma,” he said. 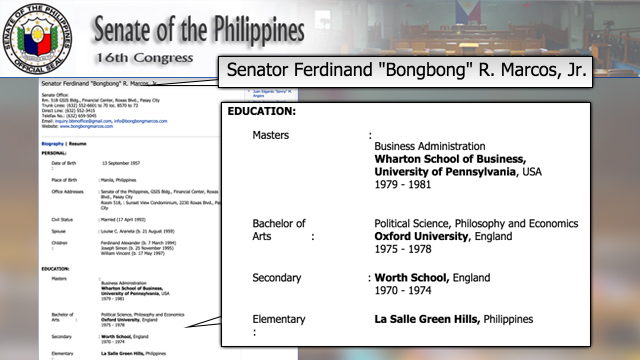 Marcos Jr has not corrected his resumé, as posted in the Senate and his own websites. 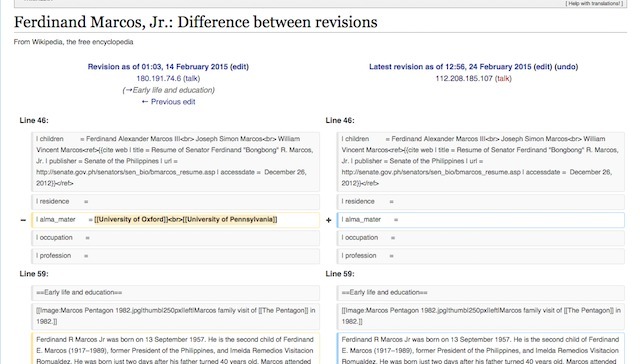 On Wikipedia, the entry on Marcos Jr’s undergraduate degree from Oxford and graduate degree from Wharton was deleted on the same day the story on him was first published on Rappler. It is not known who deleted the entry.